With the perpetual Internet (r)evolution, we’ve moved from print articles to blogs, from paper advertising to Google Ads and from magazine-featured spots to Facebook Pay-Per-Click. However, when done well, print can bring a powerful message the Web can’t. Gone are the days when mainstream buyer browsed classifieds in the paper for real estate deals. Placing ads in local well-known publications in Altanta or Marietta will help you with your personal branding and name recognition, but probably won’t do much directly to sell your listing, or will it? Today expensive print ads in glamour magazines are almost a requirement for high-end luxury real estate agents. Thousands of dollars every month for one or two glossy pages. Understandably, magazines are eye candy to behold while relaxing in your favorite chair. But without proper call-to-action, “pretty” is all they will remain. On a shelf. On a coffee table or in your bathroom. So, should you still use print ads? Yes, but be smart. – A good rule of thumb – don’t overdo it, stay simple and to the point. – Make your images pop but not so much as to appear fake. – Keep your wording concise and creative. You can have a little fun, but don’t be silly. – Less is more, so keep your personal glamour to a minimum. Remember, the ad is about your services and your clients’ homes, not so much about you. – Don’t show off your 17 designations, only a doctorate degree is worthy of presentation. – Hire a professional photographer to do your magazine shots. – You can’t go all out on print but cut production quality. 1) Showing off your social media in print. 2) QR-codes. Yes or no? Meh… Leave those to for an instance when you can’t have much wording or where the only thing you can fit in is a QR-code with just a few words. Possibly on your window at eye level. Think like a consumer: where and why would you scan it? For me it’s when I am on-the-go, in the street, in a hurry, holding a postcards near a restaurant, a perk on a window, a special deal, etc. I’ve tried to love QR-codes, but they are just plain ugly. Another important note – always explain what the client will see or get once they scan the code. “Scan and see a list of all upcoming waterfront listings in Snell Isle”, “Scan and watch exclusive video walk-through inside this home”, “Scan to get 2 free martinis – no joke!” – and so on, be creative! I’ve seen some hideous frames and graphics around images in magazine ads that absolutely make no sense. Editors allow you to do this because, well, because you pay. But look at magazines’ covers and pages, what do you see? Images often bleed-through (no framing) with words posted over the image. The fonts are beautiful, often custom made. Images are crisp and shot from perfect angles. A lot of this is subtle but little things like that can create a million dollar look without big expensive. Simply watch the style trends, or have custom templates created by a cutting-edge web design company. Perhaps you are a successful agent and you have several luxury listings you’d like to show off in a slick local magazine. You have beautiful images, but you can’t possibly give ALL the information about every home on one page. (FYI, If you’re trying to do this your ads are ugly.) So, lead them to your website where they can see more photos and learn more details. Also consider the general appearance of your site. Do you have dedicated pages for each property you listed? How about buying a custom URL with something like www.oldnortheastbungalow.com and if that one is taken, you can use something simple like www.1234MapleStreet.com . Then place that web address over the picture in bold font, and say “see more photos, description and video interview with the owner on this site”. What interview, you say? I know, it’s scary, but you can do it. Record yourself interviewing the owner about why they bought this home and what they love about it. Make a short 2 minute video and place it on your site. Buyers love it! Oh, and that one homeowner browsing through the pages of a magazine, they just might like your creativity. You never know where your next listing will come from. Otherwise, this is when you can partner with other service providers. Put their name on your ad and give them business that comes from your print advertising. Be sure to follow the legal guidelines. It’s going to be a while before (if ever) print advertising will go out of style in Atlanta or anywhere else. Why? 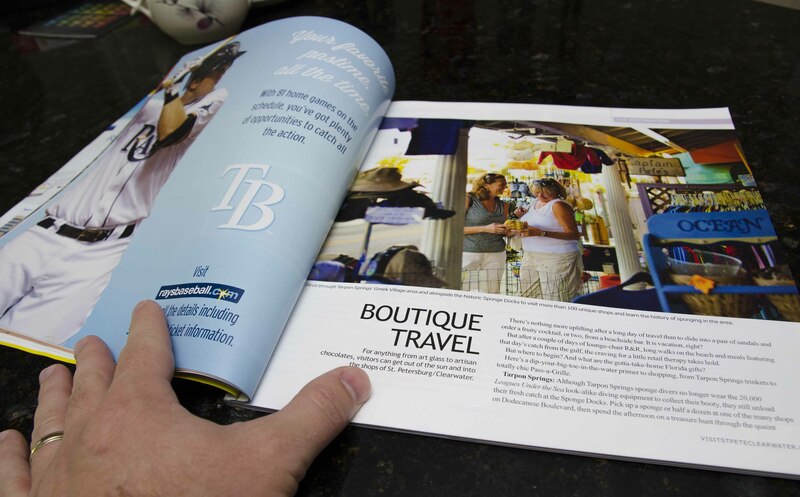 You can roll a huge glossy page and put in your pocket – something you can’t do with a tablet or laptop. And a two-page magazine spreads can be impressive and hard to beat. Computers and mobile devices are making a huge footprint in our history, but paper and magazines still bring about feelings and emotions that our digital friends never will. Print is here to stay, so make your print ads a powerful tool. Geographical Area of Services Advice To New Realtors – Where To Begin?